Asserting that the Congress Seva Dal has its roots in nationality, patriotism and pro-social activities, former MP and Senior Congress leader, A.H. Vishwanath, said that the Seva Dal very much remains in the minds of the people through Movements. He was speaking after inaugurating a workshop organised by the Mysuru District Congress at the town’s Shikshakara Bhavan, marking the Seva Dal Day recently. Maintaining that the Seva Dal dedicated itself for the service of the nation and the people, Vishwanath said that the Seva Dal is credited with launching Civil Movements for genuine public causes. Alleging that the RSS was attempting to divide the nation by divisive actions, Vishwanath cautioned the people of Hunsur to be wary of such designs. Claiming that Prime Minister Modi’s dream of making India Congress-free would not materialise as long as Seva Dal exists, he called upon the Congress workers to educate the younger generation on Seva Dal activities and programmes. Hunsur MLA H.P. Manjunath, in his address, said that the strengthening of Seva Dal will commence from Hunsur and 500 volunteers will be selected for the purpose. 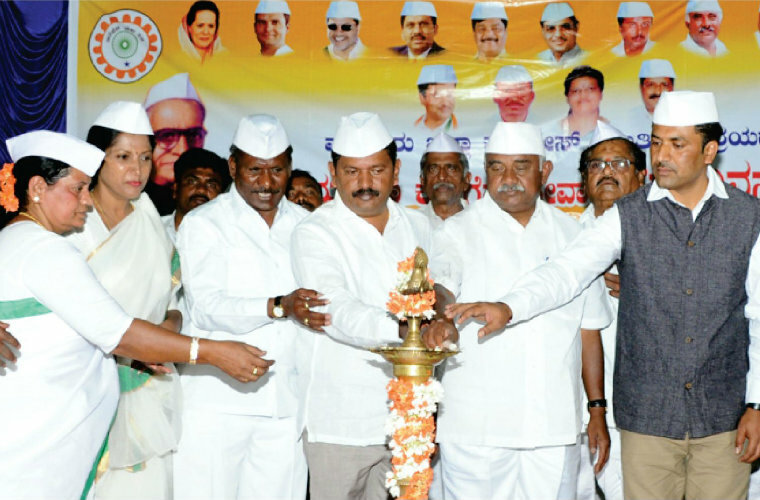 Congress Seva Dal office-bearers Bhimashankar and Shankarmurthy, District Congress President Dr. B.J. Vijaykumar, Geeta Nagaraju of District Seva Dal, ZP Member Dr. Pushpa Amarnath, TP President Padmamma, Taluk Congress President Basavarajegowda and others were present. Earlier, MLA Manjunath, hoisted the Seva Dal flag. Floral tributes were offered to the portrait of D. Devaraj Urs.